I spent the Easter holiday in the Batak Karo region. There are 5 Batak tribes–Toba, Karo, Simalungun, Pakpak, and Mandailing. Locally, the use of the term “Batak” refers to Toba Batak, as the other tribes go by their respective names. I’ve spent nearly all of my time here among Batak culture. The Karo people have their own language as well as some different customs from the Bataks, with whom I’ve spent most of my time. So it felt a little strange not knowing exactly how to address people (outside of using Indonesian). I will add another post about the ministry with the victims of the eruptions of Mt. Sinabung, which has been active since 2010, but the recent eruptions have occurred since last September. This post is just to share photos from my time relaxing in Kabanjahe and Berastagi. In the region are 2 volcanoes, Mt. 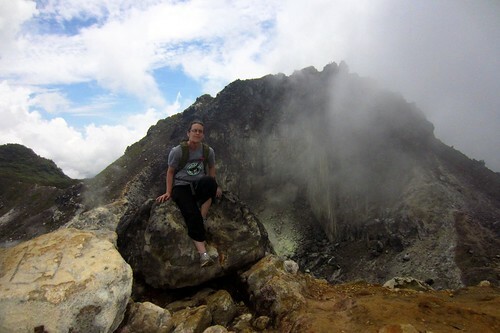 Sinabung–which I’ve already mentioned–and Mt. Sibayak. Mt. 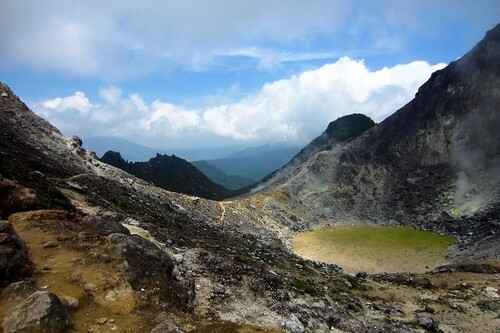 Sibayak (near to Berastagi), although not erupting, has sulfur venting from the caldera, as well as nearby hot springs. 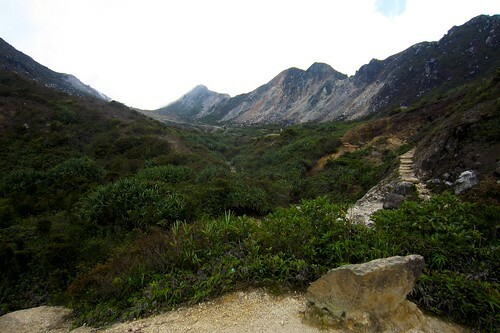 It is one of the volcanoes in Indonesia that can be hiked. So, on Good Friday (18 April), I ascended up Sibayak with a Nommensen University student and friends, and was treated to an amazing landscape both in the volcano and out to the surrounding area. Then, invited by the student, I spent a night in her village near Mt. Sinabung. The region is fertile and well-known for it’s agriculture. 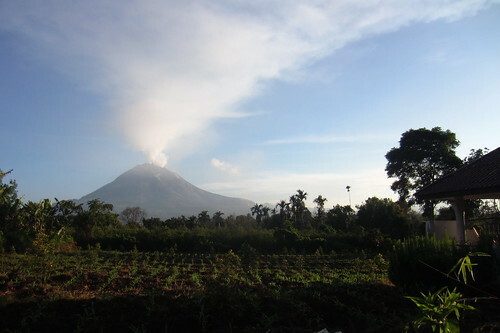 In Sinabung’s eruptions earlier this year, the village, maybe 10-12km away, received about an inch of ash, making a mess and destroying some crops.